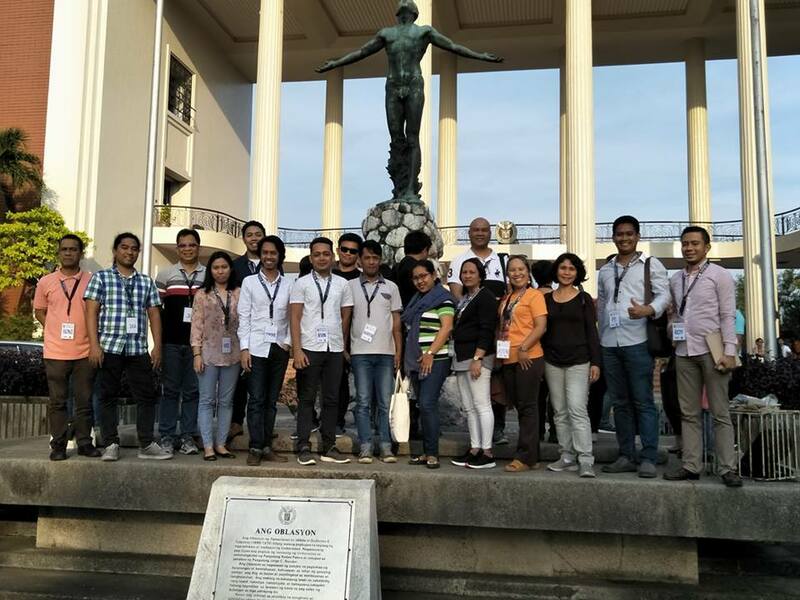 Fifteen Bicolanos are presently attending the first Saling Panitik: Palihang Bienvendio Lumbera translators seminar at University of the Philippines Diliman. They are: Roy Penolio of Nabua; Eilyn Nidea of Ragay; Ryan Remolacio of Sorsogon; Vicente A. Olanario of Tabaco City; Bonifacio B. Cana of Tabaco City; Pejay A. Padrigon of Iriga City; Fr. Raul B. Barcela of Bacacay, Albay; Elsie Albis of Minalabac, Camarines Sur; Rachelle D. Pineda of Camarines Norte; Teresita Abdera of Virac, Catanduanes; Adam Rudio of Virac, Catanduanes, Victor John Loquias of Iriga City; Elbert O. Baeta of Iriga City; Marissa R. Redburn of Naga City; Irvin P. Sto. Tomas of Canaman, Camarines Sur; Ryan Cuatrona of Buhi, Camarines Sur; Jovi Cadores of Naga City; Jusan Misolas of Naga City; Marvin Aquino of Tinambac, Camarines Sur; and Jerome Hipolito of Calabanga, Camarines Sur. The seminar, which takes place today (Feb.8) until tomorrow at the UP Hotel, is in honor of National Artist and Institue of Creative Writing (ICW) adviser Dr. Bienvenido Lumbera. This landmark ICW undertaking is in line with an existing UP EIDR grant, and accommodates a combined total of fifty (50) teachers, textbook writers, and college students. Resource persons and discussants for this iteration of the workshop are Mr. Marne Kilates (translator and writer), Dr. Michael M. Coroza (writer and translator, Ateneo de Manila University), Prof. Ma. Crisanta N. Flores (faculty of the UP Department of Filipino and Philippine Literature and Commissioner of the Komisyon sa Wikang Filipino for Pangasinense), Mr. Niles Jordan Breis (award-winning writer in Bicol and Filipino), and Prof. Junley Lazaga (Professor of Language and Literature in UP Baguio and renowned Ilocano writer). The rationale behind this workshop is the training of translators of our regional languages, particularly of literary texts that are now being used in textbooks for our classrooms. This is crucial in light of developments brought about by the K-12 program.